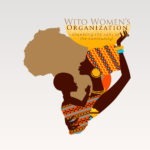 The Ngorongoro Conservation Area was founded on a vision to promote conservation, protect the interests of local communities and encourage tourism, combining nature conservation and human development in a unique way. Its crowning glory is the Ngorongoro Crater, which is the largest un-flooded and unbroken caldera in the world. A spectacular bowl of about 20 km across and 600 m deep, this cavernous volcanic crater is a breathtaking natural wonder that will leave you speechless. Standing on the rocky rim and looking down at the crater floor, you have the highest density of wildlife in Africa at your feet. The varied habitat, including grassland, swamps, forests and Lake Makat (Maasai for “salt”), attracts species of all kinds, while you can simply gaze on in wonder. Most notably, the Ngorongoro Crater gives you one of the best possible chances of seeing the endangered Black Rhino as this protected idyll is one of the few places where they continue to breed and thrive. You might also be lucky enough to see leopards, majestic black-maned lions, and flocks of flamingos. If you’re a budding archaeologist or paleoanthropologist, Olduvai Gorge is a treasure trove. 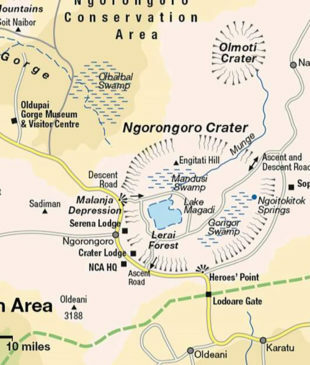 Located in the Great Rift Valley, between the Ngorongoro Crater and the Serengeti National Park, it was formed about 30,000 years ago and is the site of some of the earliest human remains. At Laetoli, west of Ngorongoro Crater, hominid footprints are preserved in volcanic rock that is believed to be 3.6 million years old, representing some of the earliest signs of mankind in the world. Three separate tracks of a small-brained, upright, walking early hominid have been discovered, and you can see the imprints for yourself at the Olduvai museum. Buried in the layers of the Olduvai Gorge, archaeologists have found evidence of some more advanced descendants of Laetoli’s hominids, revealing a gradual increase in brain size and in the complexity of their tools. The first skull of Zinjanthropus, commonly known as “Nutcracker Man”, who lived about 1.75 million years ago, was found here. If history and heritage is what you’re after, it doesn’t get much better than Olduvai Gorge. Literally translated as “The Mountain of God”, Mount Oldoinyo Lengai is revered as sacred by the local Maasai communities. It is apt, then, that as you stand on the summit you could almost be said to be looking directly into the fires of hell, as it overlooks the caldera of Tanzania’s only officially-certified active volcano and the world’s only carbonatite volcano. With an eruption every seven years, as smoke billows from the crater, locals are reminded of Lengai’s formidable power. Climbing Oldoinyo Lengai is a demanding challenge as the rocky, ash-covered slopes are crumbly and unstable, and the ascent is steep. The heat can also be crippling, which is why it’s best to set out early in the morning and aim to reach the summit at sunrise. Escorted by a local Maasai guide, you can hope to see lions, leopards, zebras, hyenas, olive baboons, vervet monkeys, jackals, gazelles, impala and monitor lizards. Your reward for the grueling ascent is an unbroken view of Lake Natron, a salt and soda lake whose striking red waters throng with flamingos, pelicans and geese. No photo could do it justice – some things just have to be enjoyed in the moment and live on in the memory. 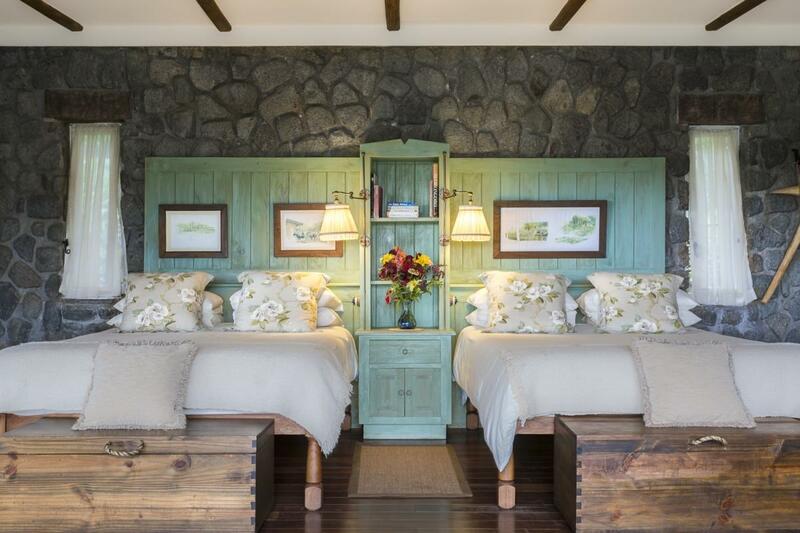 What we love most about this lodge is the floor-to-ceiling views, directly into the crater. 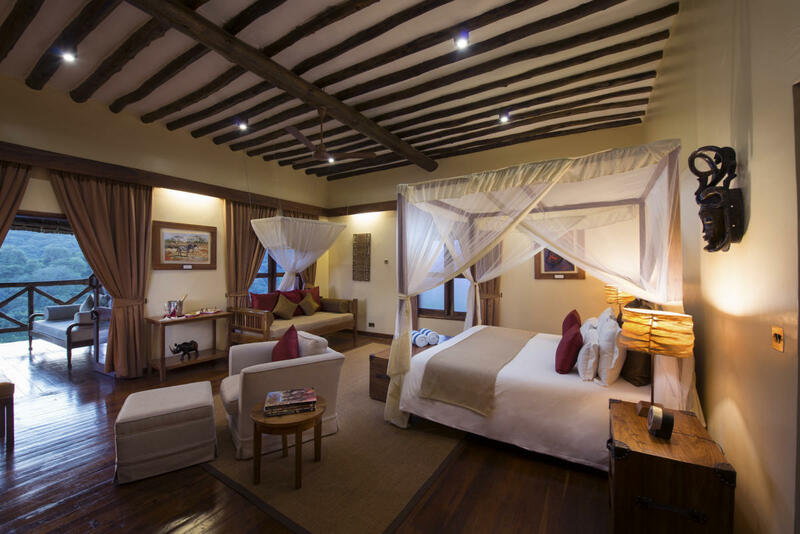 The mud and thatch of the suites makes a striking contrast to the chandeliers, antiques and African ornaments that adorn the interiors, but the full length windows are the icing on the cake. This is a lodge for clients who want an experience that feels authentic and tactile, without sacrificing comfort and hints of luxury. Your own personal butler will bring you drinks, stoke the fire, and cater to your every need, and the magnificent domed dining-room is a grand setting for every meal. The Highlands offers our clients something a little different, for those who want a taste of the true wilderness experience, while also enjoying a high-end retreat. The setting gives you easy access to the Ngorongoro Crater, but also invites you to explore the rugged highlands of the Ngorongoro Conservation Area. This is a great chance for you to see leopards, buffalo and elephants, as well as the rich bounty that the crater floor has to offer. If you’re also interested in visiting a local Maasai community and getting a snapshot into their way of life, this camp is a good choice for combining both elements in one short stay. Set high on the crater rim, we like the fact that this elevated vantage point gives you a sense of the iconic crater within its wider surroundings. 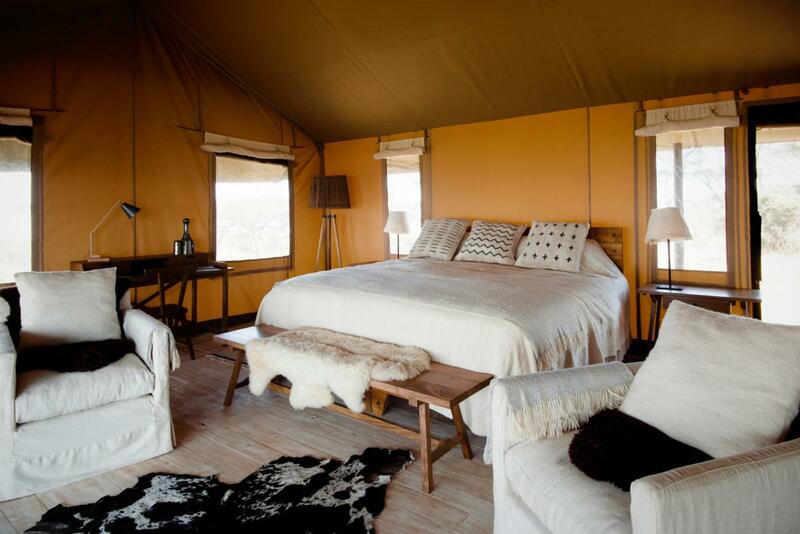 Combining the dramatic landscape of volcanic hills and the day to day rhythms of Maasai pastoralist life, these canvas rooms and tents take you off the beaten tourist track and give you a fresh perspective. We particularly recommend Entamanu to groups and families because it offers six spacious en suite canvas rooms and two family tents. The high altitude does mean that it can get quite cold and windy at night, but the tents come well-equipped with chunky textured wool furnishings, down duvets and heaters. These cosy log cabins in the dramatic volcanic landscape of Ngorongoro are only a 20 minute drive from the Ngorongoro Crater, and the conservation area is right on the doorstep. We find that this is a comfortable, well-equipped and an all inclusive lodge for those who want to focus on seeing as much wildlife as possible – especially if your itinerary includes a dawn or dusk excursion. At the end of a full day, you can also enjoy the swimming pool or Mvua African Rain Spa, so this is a popular choice for clients who want to combine action-packed days with relaxing evenings. 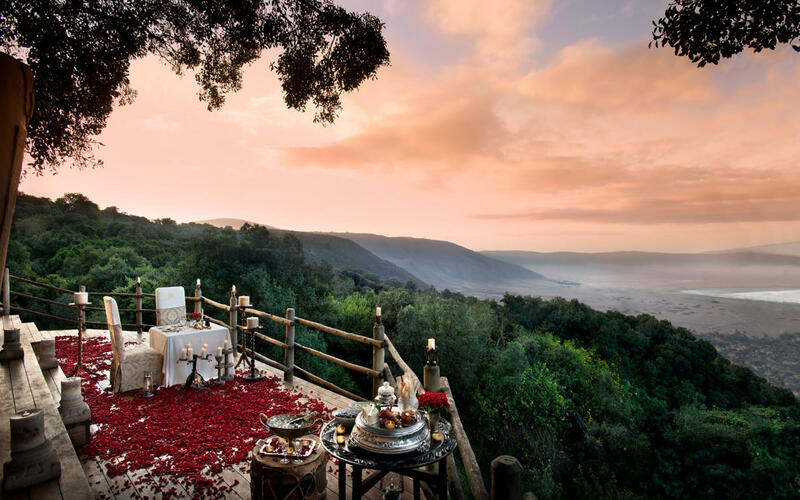 If you want to make your African adventure extra lavish and luxurious, The Manor at Ngorongoro is one of our most extravagant recommendations. With premium cottages, manicured gardens, and the grandeur of a stately Manor House, this place is all about old world opulence, fine dining, brandy and a smoke. 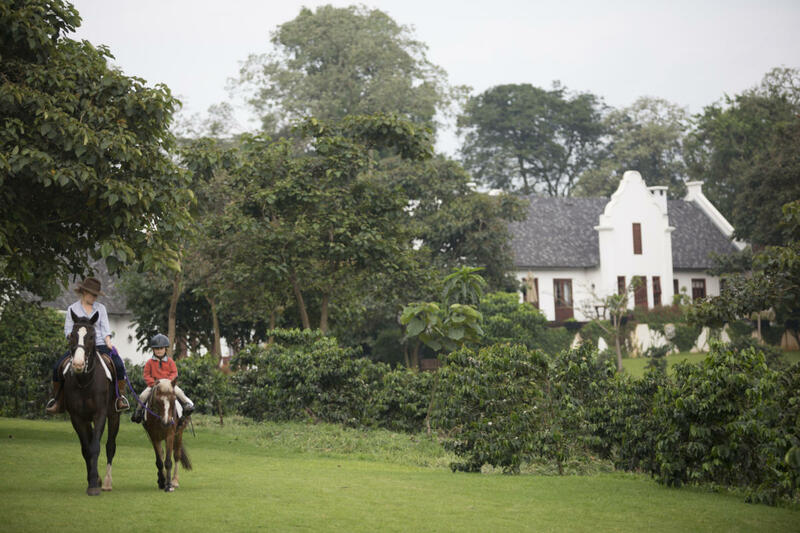 We recommend The Manor to clients who are looking for the most high-end and indulgent safari experience, and it is particularly suited to honeymooning couples. After a day out on safari, you can return to your majestic suite and capacious bathroom for a long, hot bubble bath, and there’s also a swimming pool and full spa, so it’s ideal for some couples pampering and time to just enjoy each other’s company. 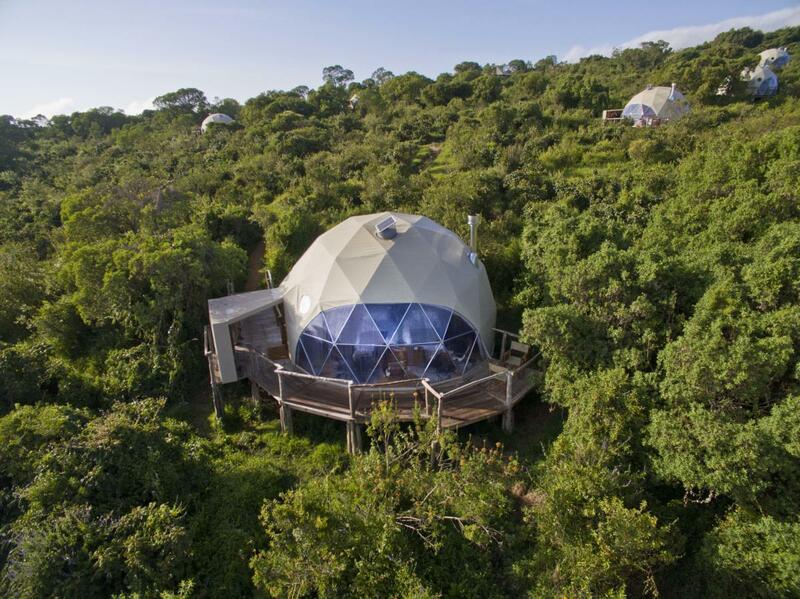 The location is perfect, too, within a coffee plantation near the rim of the Ngorongoro Crater, and very close to the entrance to the Ngorongoro conservation area. If you’ve got the budget for it, it won’t disappoint. For clients who want to spend a few days exploring the Ngorongoro Crater but don’t have the luxury of an expansive budget, we recommend the warm and rustic charm of Gibb’s Farm. Located on the forested slopes of the crater, it’s ideal for day trips, while offering a welcome retreat when the sun goes down. The well-equipped cottages overlook beautiful gardens to give a sense of calm and wellbeing, so it’s a good place to stop for a few days and catch your breath before heading on to the rest of your action-packed itinerary. It also works well for families or groups, as one of the cottages offers two en suite bathrooms and a sociable living area.